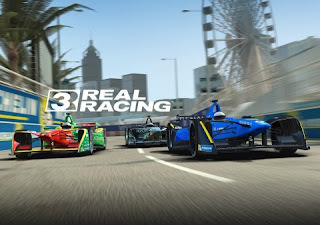 Electronic Arts Inc. announced a new partnership between Real Racing 3, an award-winning* mobile racing franchise, and the FIA Formula E Championship, the world’s first fully-electric single-seater series, to bring the season-opening Hong Kong ePrix to life in the game. With this new partnership, Real Racing 3 will be adding the Formula E street circuit in Hong Kong's Central District as a new track in the game, in addition to an in-game version of an official Formula E car, and exclusive behind-the-scenes videos from the real-world event, which took place this October 9, 2016. Now players will be able to experience the Hong Kong central harbourfront circuit first-hand, as they get behind the wheels of an eco-friendly, high-powered electric vehicle that boasts a maximum speed of 140 mph (225 km/h). *Real Racing 3 was awarded IGN's Editor's Choice and Pocket Gamer's Gold Award.